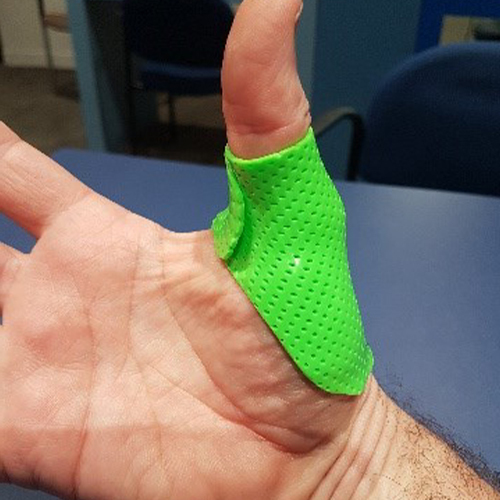 Low-profile orthoses for returning to sport after thumb or finger injuries. 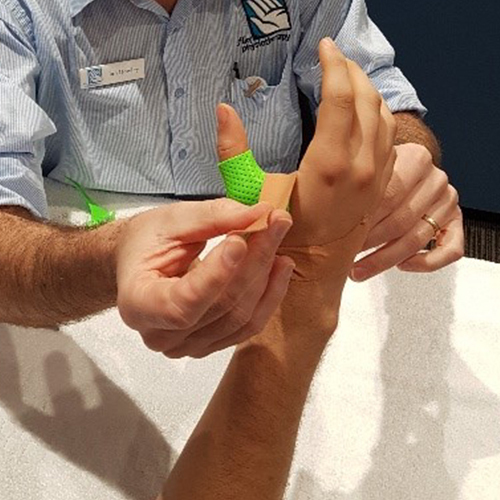 At the APA Wrist and Hand Course in Sydney past July, Ian Dowley (Flex Physiotherapy) and Cathy Merry (Hand Injury Trauma Service Physiotherapy) demonstrated how to easily fabricate low-profile orthoses to be taped on when athletes return to their sport after thumb and finger injuries. 1. 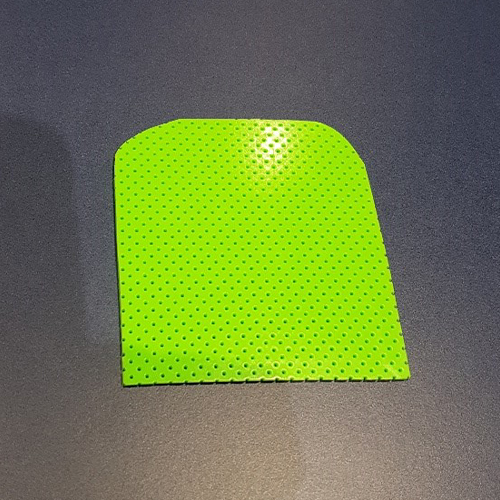 Start with a simple square of thermoplastic material. Height: Distance from thumb IP joint to thumb CMC joint. Round off the top corners. 2. 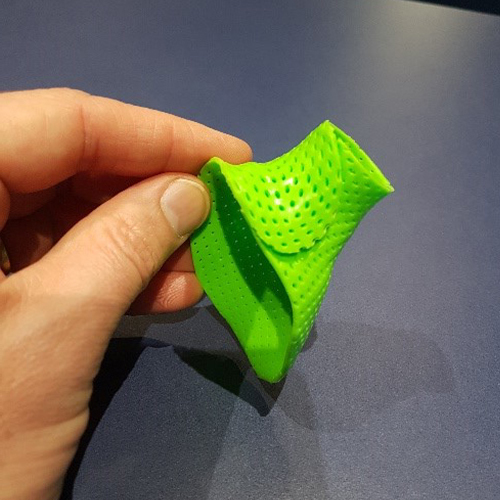 After heating the thermoplastic material according to the instructions, place the material on the thumb from the radial aspect. One at a time, gently stretch the two rounded corners through the web space, overlapping them. Mould around the thenar eminence. 3. 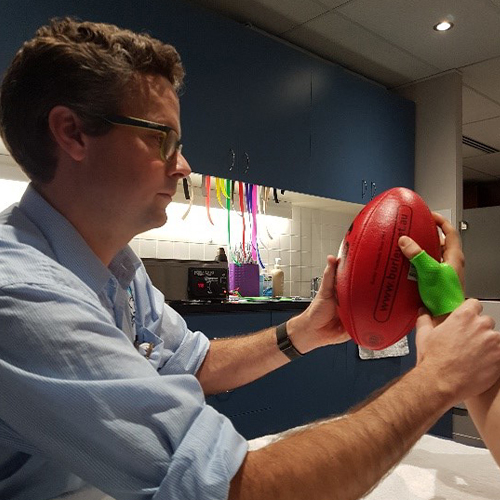 While the material is cooling down and thus hardening, ensure the thumb is in a functional, sport-specific position. 4. Trim away any excess material and smooth the edges for comfort. Leave the palm of the hand as free as possible to ensure ball control. 5. 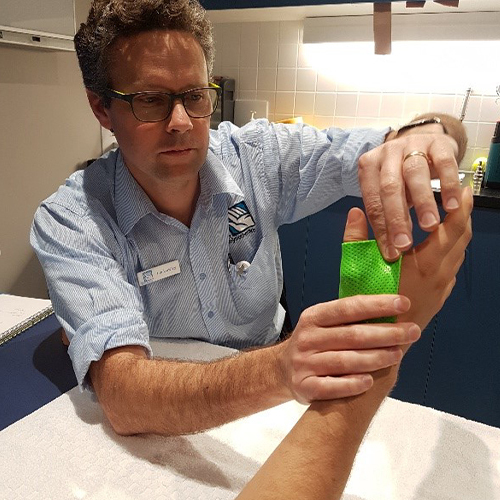 Use a rigid tape, Kinesiotape stretched to more than 50%, a self-adhesive bandage like Coban Tape or an elastic adhesive bandage to ensure the orthosis is secured to the thumb or finger, then cover the material completely with the tape so there is no risk of injury to other athletes.